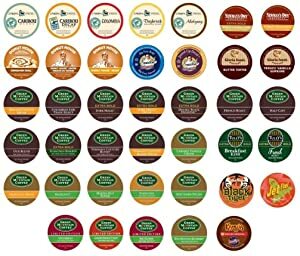 If you’re looking for the best prices on K-Cups AND K-Carafe packs for Keurig and Keurig 2.0 K-Cup brewers here’s a huge round-up to help you out! This K-Cup deals round-up goes as cheap as we can possibly find (currently 30¢/K-Cup and $1.50/K-Carafe Packs). 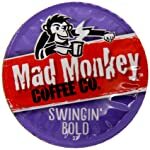 We realize most of you who visit this page are looking mainly for great K-Cup price drops, so we have decided to keep what we list here on the lower priced end of the K-Cup spectrum. That being said, there are still some great brands that fall in the 50¢ or lower category on a regular basis including Folgers, Caza Trail, Eight O’Clock Coffee, Barrie House, Java Factory, and even organic/fair trade blends! Looking for deals on Keurig Brewers? Check out our HUGE round-up of the best Keurig Brewer deals online with great prices on several different K-cup AND K-carafe brewers! Featured K-Cup Offer – Cross Country Cafe! 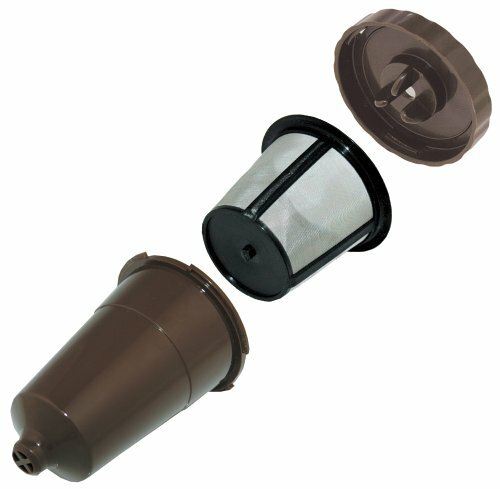 At Cross Country Cafe shipping is free on orders over $59 of ANY combination of their products, including non k-cup items. Make sure to check out their Wacky Wednesday Sale with new markdowns that begin every Wednesday and last through Tuesday on popular K-Cups and more (those deals are highlighted in red below). ***STS Exclusive! *** Save 20% on your first order of the Cross Country Cafe Coffee of the Month Club when you use the coupon code “20STSCOFFEE14” at checkout! Plus, you get an additional 5% off EVERY order (including your first) when you subscribe to their monthly coffee autoship service. Head over to CCC HERE to get started! Also, be sure to enter to win Four Full Size Boxes of K-Cups in the Cross Country Cafe Monthly K-Cup Giveaway HERE! Note: K-Cup & K-Carafe Prices can change at any time. 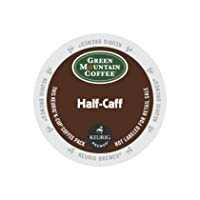 ***Cross Country Cafe Week Long K-Cup Sale*** – Various Price cuts that last all week on K-Cups, Pods, and more including Diedrich Coffee and Green Mountain! Want a Variety of K-Cups Instead of all of the Same Flavor? Note: Prices can change at any time. Want to Brew K-Cups with Your Own Coffee? We have a couple reusable cups and they are GREAT to have on hand for if you run out of k-cups or if you don’t want to have to buy decaf k-cups (we have the Ekobrew and they work great!). Here are several great offers you can take advantage of to save BIG on k-cups! This K Cups Best Prices round-up is now organized by price per k-cup rather than by company. Since shipping differs per company we’ve provided the shipping info on each company at the very bottom of this post. 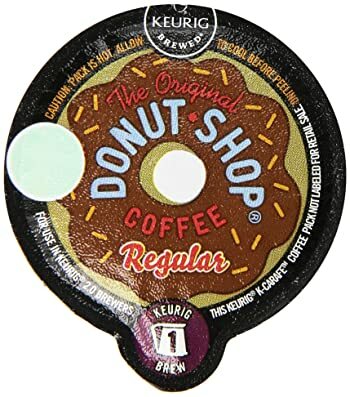 Beside all of the K-Cups deals below is a three letter acronym for the company providing the k-cup deal so you can quickly reference the shipping info as well as any available promo codes in this section (all located at the bottom of this post). Amazon (AMZ) – For Amazon deals select the “Subscribe & Save” option to get it at the price listed if S&S is available. You can cancel S&S any time after the order ships by going to “Your Account” and clicking on “Manage Subscribe & Save Items.” If you have five subscriptions that arrive on the same month your price will be even lower than what is listed here. For items that are not S&S shipping is free if you get your order above $35 or free 2-day shipping on any size order with Amazon Prime (30 day free trial available). Best Buy (BST) – Shipping is free on orders of $25+ or free on any size order if you are a Best Buy Elite club member. Coffee for Less (CFL) – Shipping is free on orders of $45 or more. Get 5% off site-wide with code CFL5OFF (this code is usually ongoing). You can check their clearance section as well for additional savings. 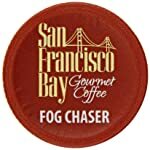 Cross Country Cafe (CCC) – Shipping is free on orders over $59 of any combination of their products, including non k-cup items. Kohl’s (KHL) – Shipping is free on orders of $75+. 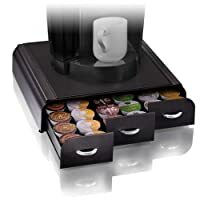 Office Depot (OFD) – Shipping is free on orders of $50+ and many varieties of k-cups have the option for free store pick-up. OfficeMax (OFM) – Shipping is free on orders of $50+. For free shipping your order must total $50 AFTER applying any coupon codes, so if your order drops below $50 after entering a coupon code you will not receive free shipping. Sam’s Club (SAM) – Shipping is a flat rate of around $5 or you can choose free store pickup on many varieties. You must be a member of Sam’s Club in order to purchase anything at Sam’s. Starbucks (SBX) – Shipping is free on orders of $75 or more. Staples (STP) – Shipping is free on orders of $29.99+ and free store pickup is available on some items. Shipping is free BEFORE you apply a coupon code, so if your order drops to below $29.99 after applying the code shipping is still free. Walmart (WLM) – Shipping is free on orders of $50+. The free store pick-up option is sometimes available, so make sure to look for that on any deals that are under $50. Keep in mind these are online prices and can vary from one minute to the next. We can make no guarantee that prices listed will be the same as when these offers were originally posted. These offers are updated weekly (typically on Mondays), so be sure to check back for an updated list of cheap K-Cup deals. You can always find this post quickly by clicking on “Coffee/K-Cup Deals” in the Top Deals section on the navigation bar at the top of the page or simply by bookmarking this page. You can also sign up for the STS K-Cups Best Prices newsletter and like us on Facebook to get these deals delivered straight to your inbox or news feed! « Young Living Black Friday Deals 2018!